I realize it’s winter in the USA and most of us are experiencing very cold and snowy weather. This week my daughter is home and she is my little bottle of sunshine. Sunshine reminds me of Pineapples and that is the feature for this week’s Freebie Friday. Add a little sunshine to your winter spreads. 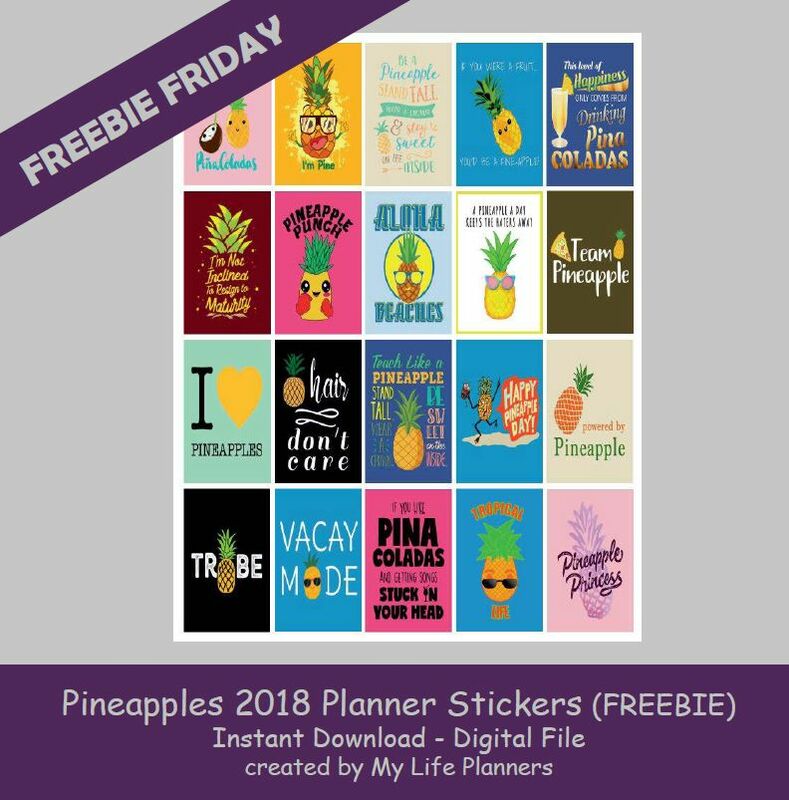 If you missed last year’s Freebie Friday Pineapple stickers they can be found here.